T-Mobile kicked off a new promo today that’ll get you into two new top tier phones for the price one. Yep, it’s BOGO time at T-Mo and the phones included in the fun are the Galaxy S8, Galaxy S8+, G6, and V20. There may be others, but those are the big guys to keep an eye on. 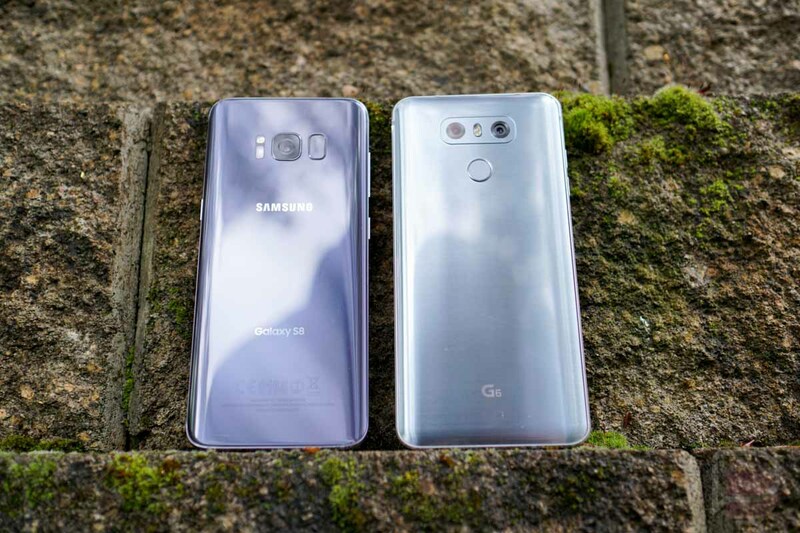 The deal involves buying two phones on equipment installment plans before tossing in the code “17JUNESAMBOGO” or “17JUNELGBOGO” at T-Mobile’s promotions site to activate the rebate that will cover the cost of the second phone. Then, within 6-8 weeks, a prepaid MasterCard will show up with the value of that second phone. 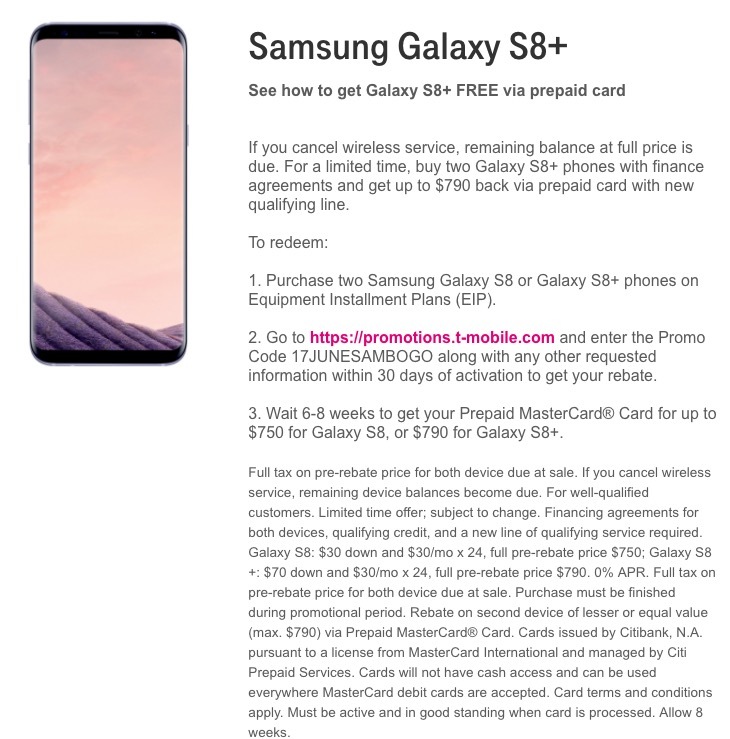 For the Galaxy S8, that means a $750 prepaid card, while you’ll get $790 for the S8+, $500 for the G6, and $500 for the V20. The deal is likely limited, so hit that link below. The full details on the promo can be found below.